Fear not. Rather than give your family their gifts wrapped in newspaper and gaffer tape on Christmas morning, there’s one last emergency provider you can call upon. This year, Fiat will be deploying a fleet of four ‘little helper’ 500s across Zones 1 and 2 in central London, with each Christmassy car bedecked with all the last-minute essentials. 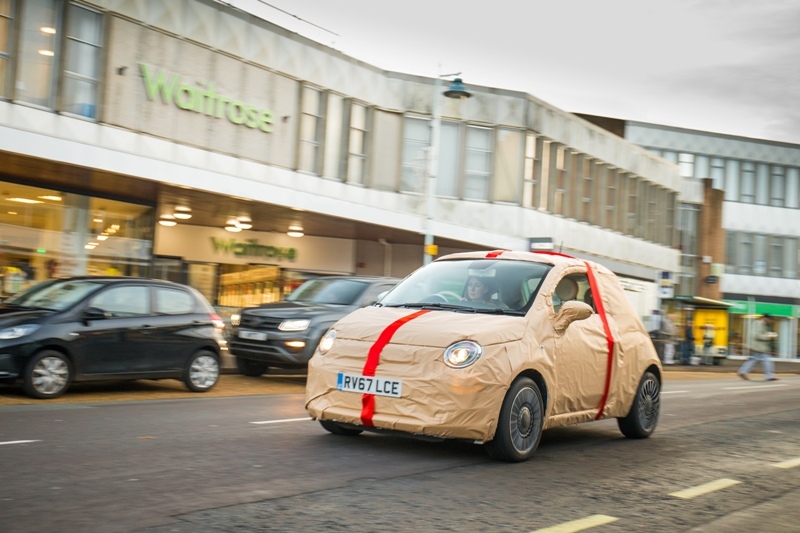 Members of the public will be able to call on the free 500 Little Helper service via the hashtag #WrappedbyFiat on Twitter and Instagram, and Fiat will despatch a crack team of gift-wrap-wielding helper elves directly to their door. And if they’re fine for wrapping paper but that annoying roll of tape runs out with three gifts left to do, our little helpers will be straight over with some more, along with scissors and some Fiat 500 gift tags if they need them. To benefit from the free emergency gift wrap service, those who find themselves wrapped up in a crisis simply need to turn to social media, using the hashtag #WrappedbyFiat, and state ‘Help me!’ on Twitter or Instagram, giving their postcode. Fiat’s crack team of response elves will be monitoring the social media channels at Christmas Gift Wrap Command Centre, where they’ll co-ordinate the entire operation and plot the best routes – taking into account various factors such as traffic, accessibility and availability – to come to the rescue of as many people in Zones 1 and 2 as they can with their emergency supplies. 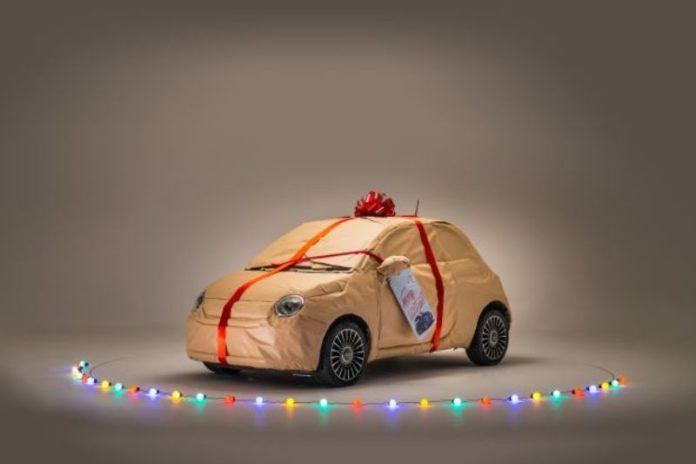 It’s one less thing for Christmas wrappers to worry about, and yet another example of how the clever and versatile Fiat 500 spreads happiness to those around it.